Christmas. Just the word alone brings a soft glow to the soul. Images of lights, men in red suites, baby in the manger, faint sounds of jingle bells in the distance and wrapped gifts under the tree. I usually tend to write with a ‘fluffy’ flair in my devotions. However, this week I have chosen to present it ‘preacher’ style. Pull out those bibles, or take a look at the screen behind me (just kidding.) I dig through verses, old boring looking books, dictionaries, commentaries. Summarizing, so the ‘fluff’ can be written. Please don’t allow your eyes to glaze over with some of the terminology, theology, and all the other ‘ologies’ that may be found below. I am confident the Holy Spirit has something for us. Instead of an ugly Christmas sweater contest, I would like us to unwrap the gift: ‘for unto to us a son is given …Prince of Peace.’ Isaiah’s prophetic declaration was not just of title, but of great ACTION! Peace. ‘Shalom,’ a familiar word. Meaning happy, well being, health, prosperity, to be safe. All that we might think. It was/is used as a greeting, and farewell. The custom of the day, was to not ask ‘how are you’ as we would today, but to ask ‘how is one’s peace?’ Shalom is interchangeable at times with ‘shalem’ which means ‘make amends, finish, bring to an end’. Denoting perfection in the sense that a condition or action is complete, restored, bringing harmony, fulfillment. Prince of Peace. What an unfolding story from Genesis to Revelation. God creates man for relationship, man messes it up, God provides rules to keep us in close to Him, yet that is NOT enough, Jesus comes and IS the bridge back to God, the original design of relationship, God and man. Making amends … bringing restoration … harmony, fulfillment … ‘shalom’. Prince of Peace. Jumping for a moment to the New Testament, the theme of ‘peace’ is exceptionally strong. Peace, ‘eirene’ (i-ray-nay) means as shalom does, prosperity, quietness, but it literally means ‘to set at one again.’ The word picture is this, picture if you will something of great importance has been toppled over, with it down, effecting life as we know it. 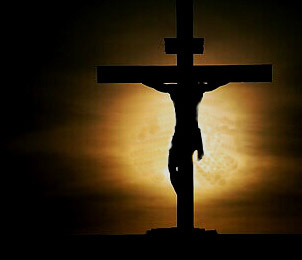 When it is erected again, (set at one again) then all is well when it is in it’s place. 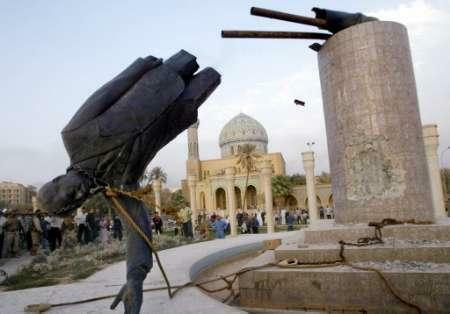 What came to mind for me was when, in the ‘opposite’ form… when the statue of Saddam was taken down, taking it down was the sign of order being restored, (remember the celebration!!!) THAT is what peace is, Jesus being sent, raised up – “It is finished …” order was now restored within the Kingdom of God, God and man. Prince of Peace. 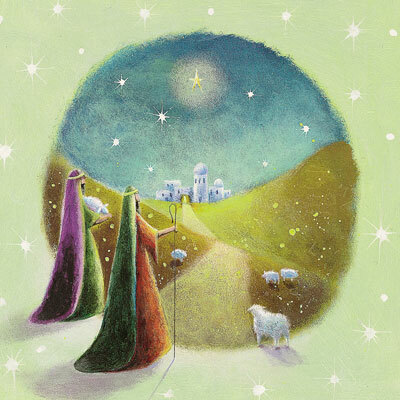 Now, taking what we just looked at, in light of the above, as our Christmas cards so beautifully state, read Luke 2:14 “Glory to God in the highest, and on earth peace to men on whom His favor rests.” Jesus, Prince of Peace. I MUST share a side note, I recently became aware that some scholars believe that the shepherds that were ‘watching their flocks by night,’ were tending to and watching over the … temple lambs, the lambs used for atoning sacrifice. If this truly is the situation, can you imagine …. was the address given to the angels ‘spot on’, or what! Knowing that THESE men would know the great importance when said to them, “I bring you good news of great joy that will be for all the people … a Savior is born to you, He is Christ the Lord…” Luke 2:16,17 says ‘… they hurried off and found Mary and Joseph and the baby … when they had seen Him they spread the word …” The angels knew THESE men would ‘get it’ and get the word out. I am not stating this to be ‘hang your hat on doctrine’, just a very fascinating observation. This Christmas as we sing and sway with the Hoo’s in Hooville, drink another glass of egg nog, or watch the cranberries on the table stay there, on the table (does anyone really eat them?) That we consider whole heartedly, we are at peace, restored to God. Jesus, Prince of Peace! Shalom, Be well, be blessed, be His. This entry was posted on December 19, 2009 by Inspired Fountain. It was filed under * Miscellanous Stuff .